The movie starts off with a bang as a terrorist blows himself up after being caught trying to cross the border and continues with similar actions happening inside a mall in the US that prompts the US Government to identify the cause and in this case, the cartels and use all necessary force to contain it and have them turn against each other. 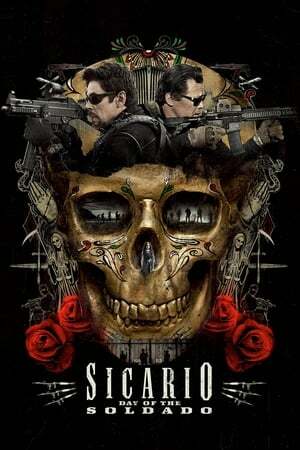 Help comes in the form of Matt Graver (Josh Brolin) and his number one soldier Alejandro (Benicio Del Toro) as they kidnap the drug cartel’s daughter Isabel Reyes (Isabella Moner) that ends up getting more complicated when they are betrayed from both sides of the fence (so to speak) and alliances are questioned. This movie is gritty, violent, engaging and entertaining as more than a few twist are thrown in the story to make it interesting. It’s very realistic and depicts the reality of the drug war and how small the value of life is given by both sides. The pacing is excellent as there are no slow parts complemented by the acting that is completely believable as the film flows like a river from start to finish: it’s choppy, it’s rough and then it gets smoothed out in the end. Highly recommended.